30 Days To LOVE It or RETURN It! We want you delighted with your beautiful new jewelry! And if you aren't delighted you can return it, or exchange it. Custom made jewelry is non-returnable. It is custom made for you and a final sale. Items that are in our showcase can be returned for refund, within 30 days, as long as they are in new condition. They cannot be worn, scratched, engraved, sized, etc. - they must be in brand new condition. 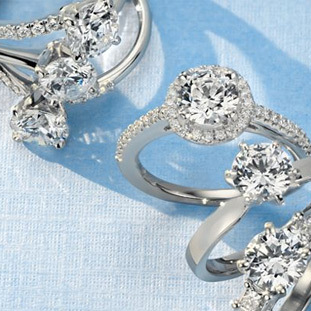 Breakage: All Lashbrook rings carry a lifetime guarantee. If a piece should ever fail because of defect, it will be replaced free of charge. Size Exchange: Free exchanges for life AFTER the initial 6 months from purchase date. WITHIN the initial 6 months, size exchanges are available for a fee of 20% of ring price. 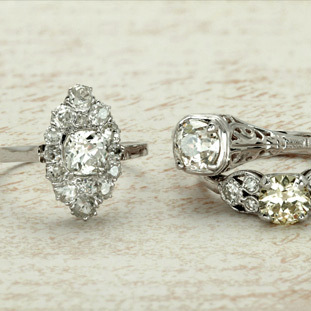 Loss: Any ring that is lost or stolen may be replaced for only a 20% deductible of current ring price. Breakage: Elysium rings are guaranteed against breakage for one year and will be replaced free of charge during the first year. Should an Elysium ring break after the first year, it will be replaced for 20% of ring price. Loss: Elysium does not offer insurance on lost or stolen rings at this time. Please package the jewelry securely. If you are doing a size exchange, please write what new size you need to exchange for. You can write this on the copy of the invoice, or include a note for us. Make sure we have your contact information so we can contact you. If you need to return an item for size exchange we may need to contact you for your credit card payment for the return shipping costs.